Pen Lub™ is a silicone free product that is harmless to plastics, metals and isolated parts. Following application parts can be painted, plated or welded. Due to the many specific applications and general uses of this product Pen Lub™ will replace many of the various sprays and dielectric grease currently in use. Pen Lub™ is H2 food approved for use around food. 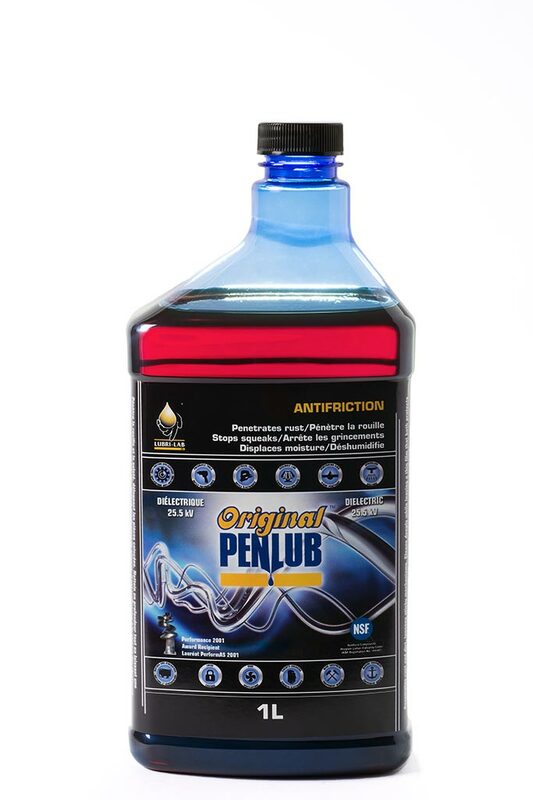 With only one application, Pen Lub™ penetrating lubricant penetrates metal pores, disperses humidity and moisture, and film. Pen Lub™ can be applied directly on sensitive mechanical, electrical and electronic equipment. These applications are applicable to the transportation, marine and industrial applications. Due to its superior anti corrosive properties Pen Lub™ can be applied to equipment going into storage for up to a year to protect from damage from moisture and dust. We have been using Lubri-Lab’s aerosol Penlube and have now placed a can in every one of our service and maintenance vehicles. Our employees keep coming up with new uses for it. We are very impressed. Lubri-Lab products are drawing rave reviews! Lubri-Lab has many satisfied customers from a range of industries, read some of our customer references and testimonials here.